Whether you have a start-up or a decade old organization, employee satisfaction is directly related to your success. Paying attention to employee wellness is one of the important parts of running a successful business. 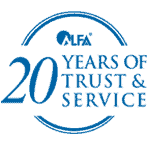 After all, when your employees are healthy and happy, your most crucial assets are protected: your employees! Various studies have shown that employees do their best when they feel good mentally and physically. There is plenty of evidence to suggest that the performance of an entire company can be directly linked to the well-being of its employees. It has been estimated that the average employees operate at only 65% of their potential if not properly hydrated. 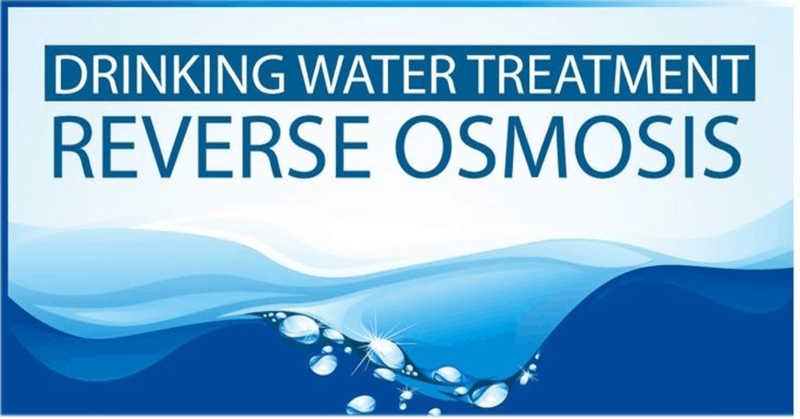 Providing access to purified and safe drinking water by installing commercial water purifiers in the workplace is one of the easiest and most cost-effective ways to ensure that employees significantly increase their water consumption and bring improvements to their health as a result. 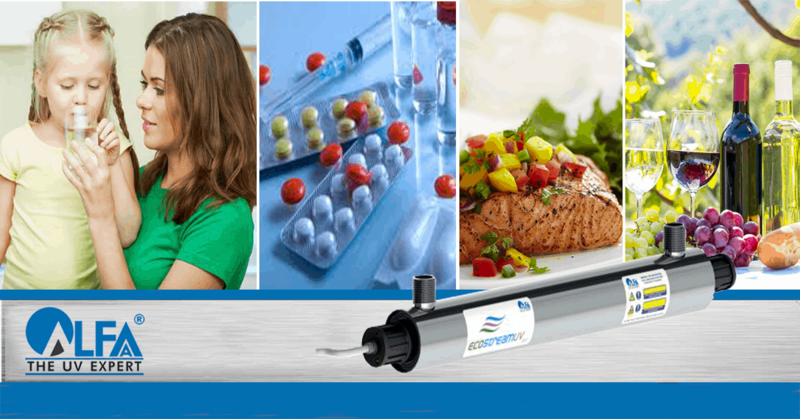 35% of all gastrointestinal illness is water-related. When employees take off from work for stomach issues, productivity certainly suffers. Additionally, employees can often feel more stressed when they return to work with a larger workload from taking time off for illnesses that can be prevented in the first place. 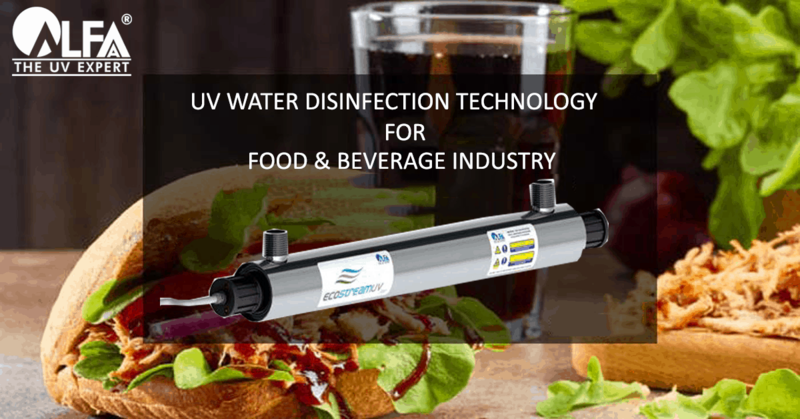 Installing commercial UV water purifiers can eliminate harmful bacteria and viruses from water and ensure that your employees stay healthy and hydrated. According to a study by Weill Cornell Medical College’s Brain and Mind Research Institute, dehydration can cause employees to fall into the dreaded afternoon slump. 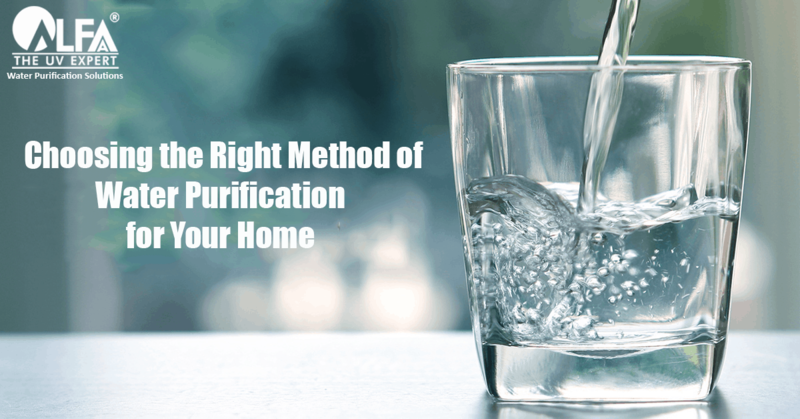 This study claims that less than 5% water loss can suppress blood flow to the brain, which in turn reduces reaction time, performance, and attention. 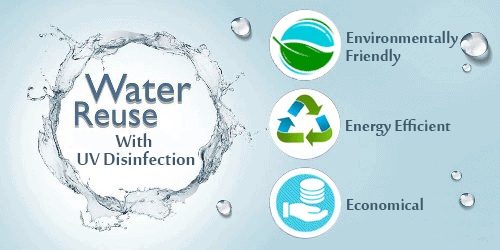 This can be avoided by installing a commercial water purifier for your office that offers employees safe and clean drinking water all throughout the day. The abundance of healthy and safe drinking water will keep your employee’s minds on their work, and their bodies ready to tackle every task. 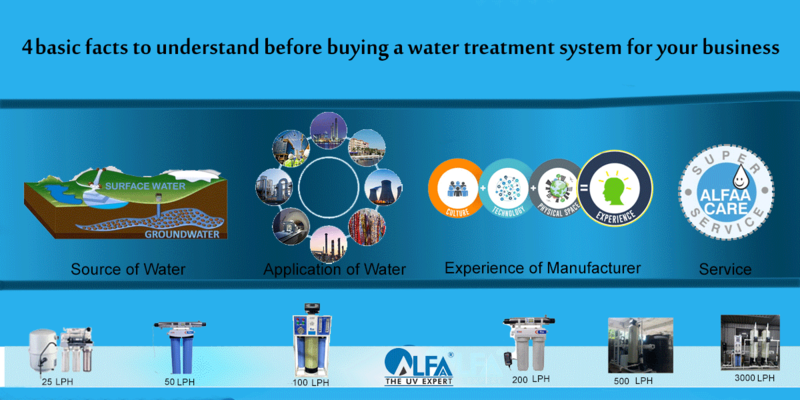 Another big advantage of installing commercial water purifier is that you don’t need to keep buying water bottles in your commercial establishments, thereby saving on manpower and other administrative hassles. Hence, it saves your huge cost of bottled water. Also, water from a purifier is safer than that from the bottles, as they may contain water from dubious sources. Also, bottled water is hazardous to the environment as it creates a huge amount of plastic waste. 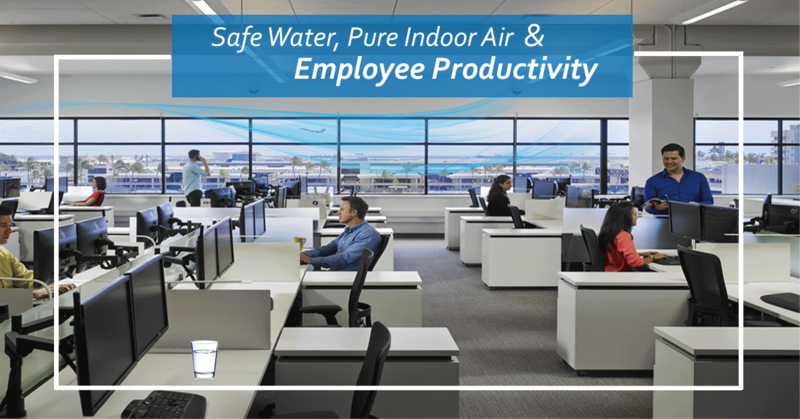 Along with pure water, Indoor air quality (IAQ) in the workplace is another important subject of much attention these days. Indoor Air Quality (IAQ) refers to the quality of air within and around buildings. Indoor air directly or indirectly affects the health of people working in that building. In many offices, colleges and hospitals, HVAC systems (heating, ventilating, and air conditioning systems) are used for cooling and air ventilation. If Indoor Air Quality is poor then it gives a Sick Building Syndrome and creates hazardous effects on people working in that premises. In big office complexes, thousands of employees work together, often more than 100 on each floor, serviced by one HVAC unit. Some may be suffering from airborne diseases like the common cold, influenza etc. In such cases, chances of cross-contamination are high. 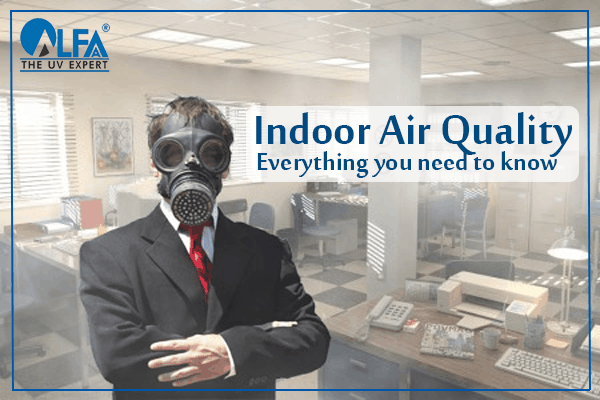 Poor Indoor Air Quality gives rise to Sick Building Syndrome, which is experienced as a feeling of fatigue and exhaustion at the end of the day, often accompanied by headaches. This affects concentration and the quality of work badly. People with a lower immune system are more prone to pick up infections in a closed space. This results in frequent absenteeism. To improve the Indoor air quality installing UVGI air disinfection systems have become a necessity. Using UV technology for air disinfection is highly effective in killing bacteria, fungi, and viruses. 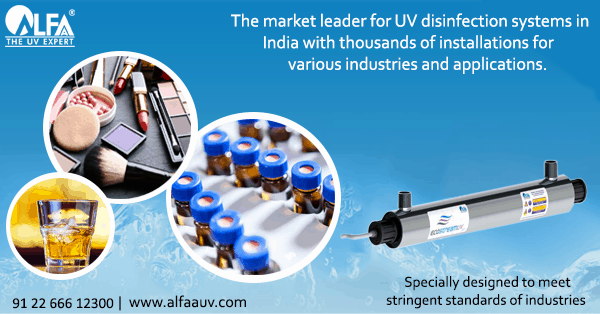 A well-designed UV air disinfection system like the UltraCoil & UltraDuct system by Alfaa UV, when installed within the HVAC system keep the coils and ducts bacteria free and greatly reduces the chance of cross-contamination. 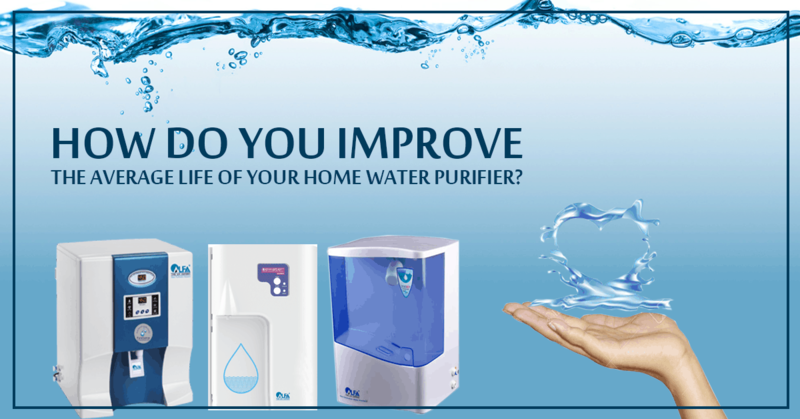 Providing a healthy and safe environment for the people in your workplace should be the primary concern for a good business, installing a right commercial water purifier and UVGI air disinfection systems can be a great start.